Moving to Santa Rosa is something a number of people consider each year. This small city is a great place to live for a number of reasons and Sonoma County is appealing too. We put this article together for people who are considering moving to Santa Rosa, and we hope it is useful. How big is Santa Rosa? The population is approximately 170,00 and growing — this may be due to the lower cost of living than in neighboring Marin County, which is one of the most expensive in the Bay Area, the relatively large amounts of undeveloped open space, the physical beauty, appealing weather, and the number of good jobs. 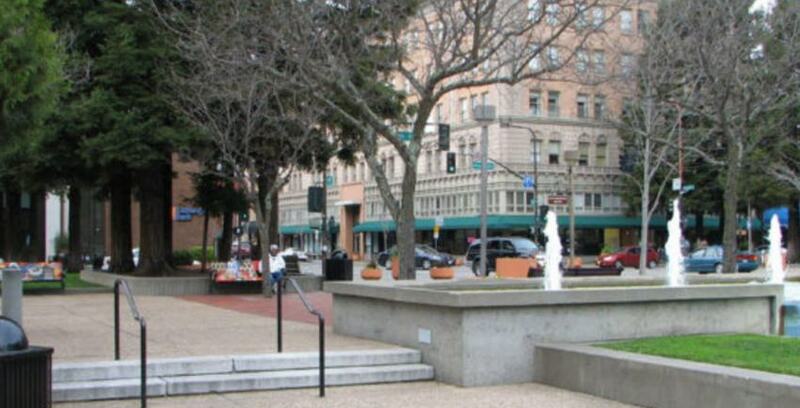 Enough people are moving to Santa Rosa, that some reports have said there is a net migration. Additionally, the population has expanded slightly because there have been more births than deaths. Santa Rosa has a Mediterranean climate with summer highs over 100 and winter lows that can be freezing. Fog can be present on summer evenings and mornings. The city is part of the region known as the North Bay; other cities within this area are Windsor, Rohnert Park, Sonoma, Healdsburg, and Sebastopol. Valley of the Moon and the Sonoma Creek watershed are within the general city area. Santa Rosa Creek flows from Hood Mountain to Laguna de Santa Rosa. There are several more creeks as well: Matanzas Creek, Piner Creek and Brush Creek. If you like mountains there are several of those: Sonoma, Mount Hood, Bennet Peak and Taylor Mountain. Taylor is about 1,400 at the highest, Sonoma is 2,400 Mount Hood is 2,733, and Bennett Peak is 1,909. Moving to Santa Rosa would be good for a person who wants closer contact with more natural settings. We at StoragePRO are fortunate to be able to do business in Santa Rosa with two self-storage facilities. In order to get some inside information about living there, we asked one of our employees who knows the area well, so if you are in the process of figuring out if moving to Santa Rosa would be a good idea, there are some insights here from a resident. What do you think someone who has never lived in Santa Rosa would be surprised to know about living there? I think that someone who has never lived here in Santa Rosa would be surprised to know about all the things we have to do in this town, how big this ‘small’ city really is. Are there outdoor activities you can do around there? The are many beautiful, scenic places to hike such as Nagasagwa, Sugarloaf Mountain, or Howarth Park, as well as boating and fishing, and animal parks, like Safari West. The population is 171,000 or so, does it seem like a smaller town than that? Santa Rosa does definitely feel like a bigger town compared to the cities surrounding, I would call Santa Rosa a big, little city. Vineyards and wineries seem like a big part of the culture, is that true, and how do you like the local festivals? Yes, it is true that vineyards and wineries are a big part of Santa Rosa, as we are famous for being the wine country. Many wineries here offer fun things such as wine tours. We also have many famous microbrewing companies, such as in downtown Santa Rosa we have the Russian River Brewery, or a 20-minute drive away, we also have the Lagunitas Brewing Company, both of which have world renowned beer selections. Here in Santa Rosa, we do have many different festivals all throughout the year, I personally like the Glendi Festival which happens once a year for a weekend, this is a food festival. Another fun festival is the Apple Blossom Festival. There are a lot of fun things to do around town in Santa Rosa, there are multiple bars, clubs and restaurants, that all vary in different scenes and cultures. Popular restaurants such Johnny Garlic’s, Stark’s Steakhouse, or Union Hotel are all great choices. Is it easy to get to mountains for camping or skiing or snowboarding from Napa? It is easy to get many places to camp near Napa and Santa Rosa. A favorite place of mine to camp is Sugar Loaf Mountain. It is located between Santa Rosa and Sonoma. Sugar Loaf is very beautiful and has many places to hike, see wildlife and view waterfalls. Unfortunately, snow is about a 2-3 hour drive from this area. Are there lakes around there for boating, swimming, water skiing, or wake boarding? Yes, there are multiple lakes, we’re located close to the coast, and rivers around within a 15-45 minute drive radius. Popular lakes like Lake Sonoma or Spring Lake are nearby as well as the Russian River or many different beaches to view and swim in the ocean. Are there many music events, like concerts? There are many music events in Santa Rosa, in venues like the Wells Fargo Center. At the Wells Fargo Center, they always have music events and comedians performing shows. Another popular venue is The Phoenix theatre, which is a 20-minute drive from Santa Rosa. The Mystic is also another very popular venue near The Phoenix theatre, both are located in Petaluma. Napa is close by…are there any restaurants, museums or things to do that people from Santa Rosa like, or that they visit for frequently? Here in Santa Rosa, we have the Charles Schultz Museum, which is very popular for ice skating. Also, Santa Rosa has many great restaurants with different varieties of food, ranging from sushi at a great place called Jojo’s Sushi located downtown, to just a 5-minute walk to an amazing French restaurant called Flavors. There is also La Rosa, a very popular club and restaurant. Are there any particular things you like about Santa Rosa? I love the whole area of Santa Rosa. The town is very beautiful, it is within driving distance of beautiful places to hike and explore, amazing and diverse places to eat out, and incredible waters to view, like the Russian River or Bodega Bay. The rest of this article is background information about jobs, homes, transportation, and so forth. Wine grapes are the main agricultural product in the Santa Rosa area, and there are over 20 active wineries. Dairy products are made there as well, and so is honey. Santa Rosa is more affordable than San Francisco but less than many places within the United States – it could be as much as 40% higher than the national average. Compared with Chicago, Santa Rosa is about 47% more costly. According to Zillow.com, the median home price in Santa Rosa is about $507,000.There are some condominiums in the area with prices below $350,000 as well. According to one source, the average apartment rent is $1900 per month. PG&E, River Rock Casino, Walmart, Wells Fargo, Mary’s Pizza Shack, and Korbel are some others. Non-private sector employers are the city of Santa Rosa, Sonoma County, Santa Rosa Junior College, the Santa Rosa School District and the State of California. One company with an office in Santa Rosa – First American – made the Forbes 20 Best Workplaces in California list for the year 2016. Santa Rosa Junior College has about 36,000 students and many of the public schools for children have at least respectable ratings. There are about 4,000 elementary school children. Moving to Santa Rosa from San Francisco might be a relief to someone has been paying very high rents and was priced out of owning a home. What are some fun facts? The home for the Santa Rosa Symphony is the Green Music Center. It is possible to canoe or float down the Russian River.Some say the most beautiful view in Sonoma County is from Paradise Ridge, and winery is nearby. Some film productions have used Santa Rosa locations like Peggy Sue Got Married, Scream, Cheaper By the Dozen, Bandits, Shadow of a Doubt and Die Hard 2. There are 5 different dog parks in Santa Rosa; the total number of parks is 65. Santa Rosa is the county seat of Sonoma County. You can also do activities like: ride a bike in wine country, go on a balloon ride, and go on a wine tour. Naturally, there are many restaurants to visit and hikes to go on. Santa Rosa has a city bus system, and the Sonoma-Marin Area Rail Transit (SMART) project is supposed to be completed by the spring of 2017. The SMART system will connect Santa Rosa more strongly to San Francisco. If you are moving to Santa Rosa, this system will make getting to San Francisco more convenient. Millions of tourists visit Sonoma County each year; about 90% are domestic and 10% are international. Of course, some of them also visit Santa Rosa. Sonoma County, where Santa Rosa is located, has protected 106,000 acres in the last 25 years. Santa Rosa Wildlife Area has over 100, 000 acres of protected land. Bighorn sheep, the golden eagle and the prairie falcon live within the natural setting. The Laguna de Santa Rosa floodplain comprises 7,500 acres of natural habitat, including wetlands. There is an educational center visitors can experience and learn about local ecology, or from regular courses on subjects like paper making. What about religion and spirituality? Many Christian churches are located in the area like The Rock, New Vintage Church, Hope Chapel Santa Rosa, and others. Santa Rosa has a number of Buddhist centers like Shambala, the Santa Rosa Zen Center, and the Kadampa Buddhist meditation center. Several synagogues are active in Santa Rosa as well. Santa Rosa has well over 10 private art galleries and the city of Santa Rosa Arts District which puts on a number of art-related events during each year. Santa Rosa has the 2 grocery stores almost any Californian would expect to see – Trader Joe’s and Whole Foods. Oliver’s Market is also a popular choice in Santa Rosa, as is Santa Rosa Community Market and Lazzini’s. It’s also not surprising that Santa Rosa has a farmers market, because there are many farms in the area, and some are organic. In point of fact, moving to Santa Rosa might seem like a bad idea for someone who is accustomed to the the foodie culture of San Francisco. However, Santa Rosa has plenty of fresh food options. According to city-stats.org, over 70% of Santa Rosa voters are Democrats, with about 24% Republicans and 2% independents. So, if you can afford this area and you tend to vote for Democrats, you will probably be happy moving to Santa Rosa. Before European settlers arrived, native people called the Pomo lived in the valley where Santa Rosa is located. By 1860, Santa Rosa had a population of non-natives equal to about 1600. Seventy years later, that number had increased to over 10,000. By 1980, there were a little over 80,000 and today, Santa Rosa has a population slightly over 170,000. In several years, the population has been predicted to be 190,000. Yes, we have two storage facilities in Santa Rosa and can answer all your storage questions.